By Olivia Macdonald (FCRH 2021) Sustainability Committee Member. You may have heard the jarring prediction that there will be more plastic than fish in the ocean by 2050. This renders it no surprise that much of the plastic we human use ends up in the world’s oceans. It is doing irreparable damage to countless marine species and the beauty of Earth’s phenomenal features. To understand the gravity of this problem, though, it is important to look at some numbers. 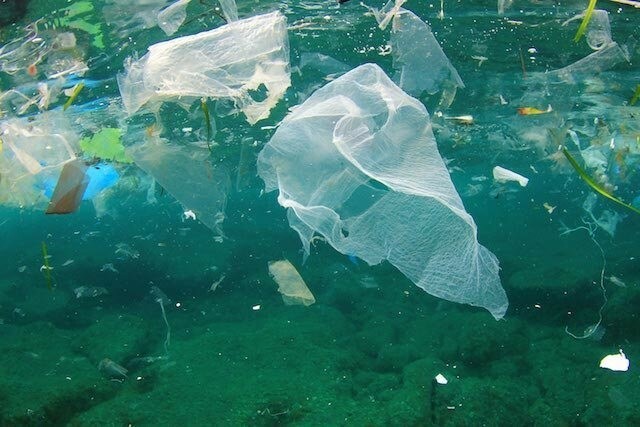 According to Earth Day Network—a non-profit organization dedicated to educating and advocating for environmental change—about one trillion single-use plastic bags are used annually across the globe. What’s more is that the bags are more difficult to recycle than hard plastics like boxes and bottles, and in most locations, they have to be recycled separately. Earth Day Network also found that more than half a million plastic straws are used every day around the world. Many of them end up in the oceans, but takeout orders account for nearly 270,000 tons of plastic waste that has flowed into the oceans. Before we assume that our morning coffee doesn’t really contribute to the global waste, 16 billion disposable coffee cups are used each year worldwide. Like soft plastics, the cups are hard to recycle because they are laminated, and typically topped off with plastic lids that also find their way into the dump heap. Many of us are under the impression, as I was at one point, that as long as we throw “recyclables” in the right bin, we aren’t contributing to the problem. However, there are many recycling rules that inhibit our ability to make good on that promise. Waste Management, one of the largest trash disposal companies in the country, outlines what recycling is accepted by most of its facilities across the United States. In order for plastic to be recycled, it must be hard (that means no grocery store bags) and it must be rinsed clean (even one sticky soda bottle will ruin the whole load). All plastic containers come with a code that matches up with what is accepted in your area, which further limits what can be recycled. Waste Management’s “golden rule” is bottles, jars and jugs only, eliminating those laminated coffee cups, grocery store bags and straws. Based on those guidelines, it’s no wonder only nine percent of plastics are recycled each year (EPA). Recycling is a good idea but simply not an effective way to compensate for our excessive plastic consumption. Reducing our use of plastic is the only way to eliminate our negative environmental footprint. For instance, if we choose to use a reusable cup or mug for drinks on the go, we can keep billions of disposable cups out of the landfills. According to Tern Goods—a company working towards a plastic-free ocean—glass cups prove to be the best alternative because they have significant positive environmental impacts in as few as six uses. If you’re worried about the fragility of glass, reusable plastic cups have similar positive impacts after just seven uses. If the reusable cup were to break or expend its expected life span, both glass and plastic cups can be recycled. There are many ways to avoid using disposable plastic, and most present only minor inconveniences that, collectively, would go a long way towards global efforts to reduce the deleterious effects of using plastics. Can we have that drink without a straw? Can we bring lunch to work without a Ziploc baggie? Can I use my own reusable grocery bag? It’s clear that in order for us to see widespread results from a decrease in plastic use, we would not have to completely change the way we live our lives—we can all take little steps. And that’s not a lot to ask of a society, even one that is seemingly dependent on plastic. The beauty didn’t last long. Despite Slat’s best intentions, there have been some setbacks hindering the performance of the device. Although it is able to collect plastic, it ends up floating back into the Pacific Ocean, which Slat is trying to rectify. Beyond this, you may wonder how much plastic it can really collect when the netting only reaches 10 feet into the ocean. It is merely a remedy for surface plastic reduction, missing the plastic that resides in deeper water while running the risk of trapping marine animals. At a certain point, it may be decided that the benefits do not outweigh the ineffectiveness or harm that Slat’s device could create. So, there’s damage control, seen in approaches like Slat’s, which is more difficult and leaves more room for error than reducing usage altogether. But there’s also regulation. That’s where this global crisis gets political. A new Democratic House majority would be able to produce legislation that would hold citizens and organizations accountable for their plastic usage if they had a Senate majority to support them. Since they do not, states will have to do most of the work. California is adding plastic straws to their ban list, along with more than a dozen cities. Not only does this regulate usage, but it pressures corporate giants to follow through on their promise to do the same. The Los Angeles Times reported last October that several cruise lines, including Norwegian Cruise Lines (who joined the Ocean Conservancy’s Trash Free Seas Alliance), have completely banned plastic straws on their ships, or plan to do so in the near future. Four Seasons Hotels & Resorts also intends to eliminate their plastic straw usage, along with SeaWorld Entertainment Inc., that has added shopping bags to the ban list, as well. Plastic straws are often targeted because their small size allows them to slip past conveyor belts and into the environment. They’re also the easiest plastic commodity to do without. People don’t mind sipping from a cup as much as they mind carrying their groceries in a paper bag. However, these straws only touch a piece of the plastic problem. Grocery bags, bottles and caps, wrappers, and shards of broken plastic litter the earth and the oceans in ways that are more than just unpleasant to look at. The Environmental Protection Agency has gathered that since 1950, 12 percent of plastic waste—which is estimated to be 6.3 billion metric tons—has been incinerated and nine percent has been recycled. Compared to those numbers, 10 percent of the plastic we produce each year ends up in the ocean—about the same as what we have recycled since 1950. National Geographic reported that in one large population of flesh-footed shearwaters, a seabird native to the coasts of Australia and New Zealand, 90 percent of them had ingested plastic. The plastic shards that end up in their intestines can either kill the bird or lead to an unrelenting feeling of hunger and fatigue, as described by Marine Biologist Matthew Savoca of the National Oceanic and Atmospheric Administration. He continued to remark that about 700 species of marine animals have been found entangled in plastic or to have eaten it, and that number is growing. While you may be able to tell the difference between a jellyfish and a plastic bag, a sea turtle cannot. The New York Times reported on an Australian study published last September in Scientific Reports that confirmed how lethal plastic can be to sea turtles. Some of these creatures were found to have swallowed hundreds of bits of plastic—as many as 329 pieces—yet only 14 pieces are needed to severely increase their risk of death. T. Todd Jones, a supervisory research biologist at the National Oceanic and Atmospheric Administration in Hawaii, elaborated on the harm that is done to these turtles by plastic ingestion. It does not necessarily kill them instantly, he explained, but rather weakens them over time by limited food absorption in their intestines. The fact about the plastic problem is that it is controllable. We have a choice every day to choose reusable alternatives to waste-creating plastic. We do have the power to reduce the use of these harmful items that we can do without. Moving forward, the hope is that this environmental crisis will gain bipartisan support, for the sake of ourselves and the ecosystems we have an obligation to protect. However, for the time being we cannot rely on legislation, so it is up to the citizens and the companies that they comprise to take responsibility. I encourage you to try and spend a week using as little disposable plastic as possible. You may find that it is not as hard as you think, and your efforts will make a difference, especially if you convince a friend or family member to do the same. Every piece of plastic in the ocean was in a human’s hand at one point. Don’t let it be yours.